My bathtub had become an old eyesore, and I was so embarrased. When you are planning a bathroom remodel in Palm Beach County, you want to make sure your project is completed to specification. You can get amazing results without spending a fortune. 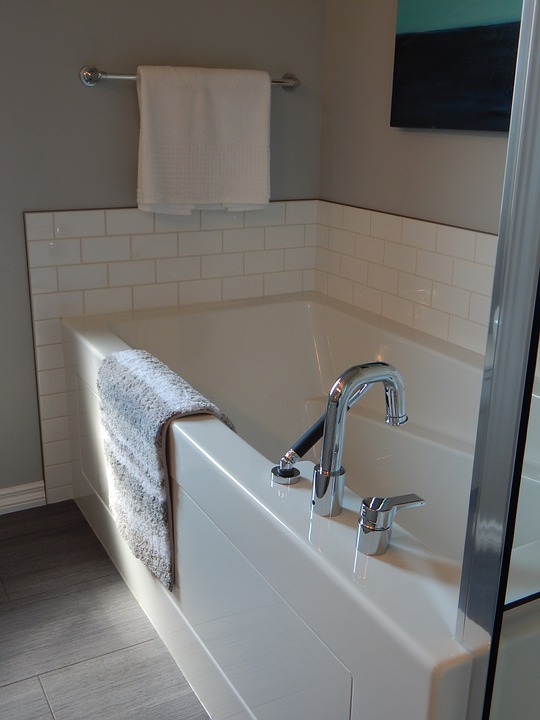 Countertops, bathtubs, and tile are all expensive bathroom features. What if you found out you could get the desired look for your bathroom without having to buy everything new? Well, it’s all true thanks to the expertise and skills of the team at Artistic Refinishing. We can provide top-notch bathtub resurfacing in Lantana that will leave your tub looking as good as new. Artistic Refinishing has hundreds of satisfied customers throughout the Palm Beach area. Lantana is a town in Palm Beach County. Lantana covers about 2.25-square-miles and has a year-round population of around 10,000 people, but about 14,000 people make their home there during the winter months. Atlantis was named after the legendary city and has a total area of 1.4 square miles. As of 2017, the population was estimated to be 2,133. Your bathtub can get discolored and become unattractive with age. You might think you have to replace your tub when it becomes an eyesore. But, that is not the case. You can call Artistic Refinishing to take care of the situation. We have more than three decades of experience in refinishing. We can resurface cabinets, tile, appliances, and countertops, leaving them looking as good as new. We can resurface in a variety of solid colors, which in turn, will leave your bathroom looking its absolute best. You can have the best-looking bathroom in your community after we have taken care of all the refinishing and resurfacing needs. If your bathtub is looking yellow or brown, it doesn’t have to. We can provide bathtub refinishing in Atlantis that will make it look as good as new. We can either reglaze it in the same color, or we can change colors from you. 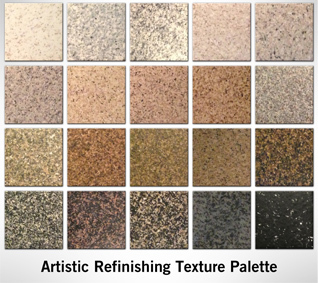 We have a texture palette featuring 20 different color options. Liners for tubs can be expensive. New bathtubs are even more costly. Bathtub resurfacing in Atlantis can save you a ton of money. It is a fast and easy way to remodel your bathroom at a fraction of the cost you would pay for a new tub and installation. We also reglaze or resurface countertops and cabinets, so we can make your bathroom become what you have envisioned. Regardless of whether you need an entire bathroom makeover with resurfaced cabinets, counters, and bathtub, or you need to rejuvenate your bathroom tiles, we are the team that you can count on to do the job. Artistic Refinishing has a skilled team of experts with the tools and equipment needed to take care of all your bathtub resurfacing in Atlantis and throughout Palm Beach County. If you are serious about making sure your bathroom look its best, you can call us for a free quote. We will gladly explain the entire process to you and answer any questions that you might have about our services. If you want to transform your home’s appearance and, also increase its value, call (800) 995-5595 today.